Notice: We are currently experiencing a higher number of phone calls than we ever have. We apologize if you are unable to reach us, as all of our phone lines are likely in use. 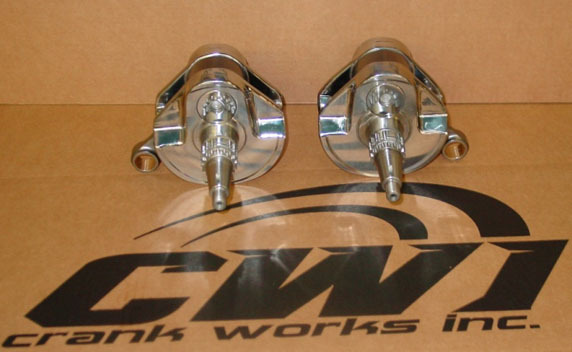 If you have trouble reaching us, you may also send an e-mail to cwi@crankworks.com with questions or inquiries, and we will do our best to respond in a timely manner. Additionally, due to our high volume of calls, we have been forced to no longer accept calls from "blocked" numbers. Most of these are from solicitors which tie up our phone lines, which we don't believe is fair to customers trying to contact our technicians. Please make sure your number is not "blocked," and we will do our best to ensure your call is answered. We appreciate your understanding in this matter. Please remember to fill out a work order for every order. We cannot perform any work without a work order. Now Offering Isotropic Transmission Service! We are pleased to announce that we now offer isotropic transmission service. This process reduces stress risers and flattens raised areas on the surface of transmission components, creating a mirror-like finish. The result is a smoother surface, which leads to improved oil flow, less wear on parts, easier shifting, and a reduction in generated heat. Yamalube/Star Racing Yamaha rider, Aaron Plessinger, came away from the second round of the AMA Supercross 250 West season with a win in Houston, TX. The Main Event saw Pro Circuit Kawasaki's Joey Savatgy grab the holeshot, with Plessinger well outside the top 10. Savatgy would lead the first 12 laps, fighting off challenges from his teammate, Adam Cianciarulo, and Troy Lee Designs KTM's Shane McElrath. Plessinger fought his way through the pack to eventually pass Savatgy for the lead on lap 12. Plessinger pulled away to secure the win, with Savatgy and Geico Honda's Chase Sexton rounding out the podium. You can learn more about last weekend's thriller by visiting Cycle News. Cooper Webb Crowned 250 Champion! 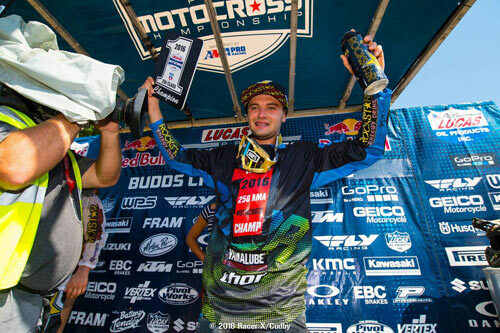 Yamalube/Star Racing Yamaha rider, Cooper Webb, recently won the 2016 Lucas Oil AMA Pro Motocross 250 Championship at Budds Creek MX in Mechanicsville, MD. Entering the weekend with an 81-point lead in the championship, Webb could wrap up the title after the first moto if he were to finish on the podium. But two early crashes on the first lap caused Webb to work his way through the pack. He would eventually finish in sixth position, which meant a champion couldn't be crowned until Moto 2. In Moto 2, another bad start for Webb meant another come-from-behind performance. He continuously clawed his way toward the front of the pack and ended the race in third position, granting him enough points to wrap up the 2016 title with one race remaining in the series. Zach Osborne earned his first overall win of his career with 4-1 moto scores. Alex Martin, Austin Forkner, Adam Cianciarulo, and Webb would round out the top five overall, respectively. 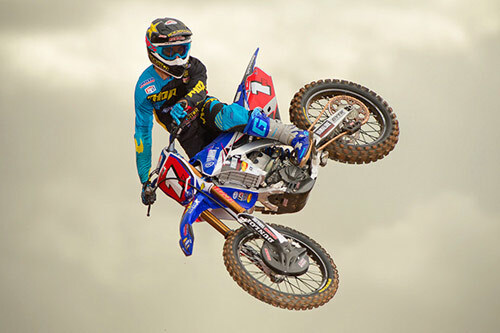 You can learn more about the race at Budds Creek MX by visiting Cycle News. Star Riders Go 1-2 at Unadilla! 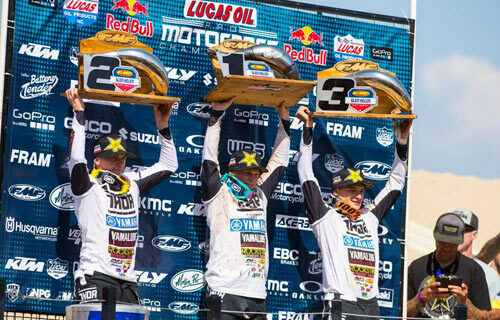 Yamalube/Star Racing Yamaha riders Cooper Webb and Aaron Plessinger finished first and second this past weekend at Unadilla MX in New Berlin, NY. After a restart in Moto 1, Webb was able to come out in second position on the opening lap, just behind Adam Cianciarulo. He would eventually make the pass and lead the race all the way to the finish. Joey Savatgy would also make his way around Cianciarulo, and finish second just in front of a fast-charging Plessinger, who made a few passes late in the race. In Moto 2, rookie Austin Forkner grabbed the early holeshot and began to stretch out a lead on the rest of the field. Webb would eventually reel Forkner in and take over the lead toward the end of the race. Troy Lee Designs/Red Bull KTM rider, Jessy Nelson, would then suffer a terrible crash, which resulted in the race being red flagged. Since more than half of the race was over, the race was ruled as completed. The final running order was Webb, Forkner, and Plessinger, respectively. Webb's 1-1 scores granted him the overall win, with Plessinger taking second after his 3-3 scores. Forkner's 7-2 scores gave him third overall. You can learn more about this past weekend's race by visiting Cycle News. Jessy Nelson is in the thoughts and prayers of everyone here at Crank Works, as we pray he makes a speedy recovery. If you would like to support Jessy in his recovery, a recovery fund has been graciously set up by Road2Recovery, and you may make a donation HERE. 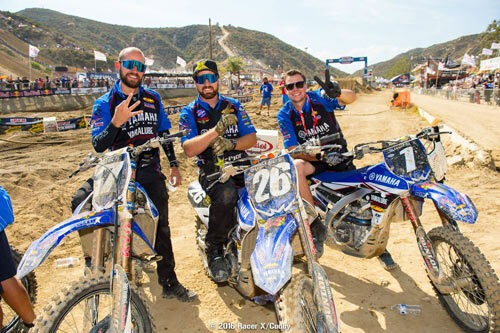 Star Riders Sweep Podium at Glen Helen! 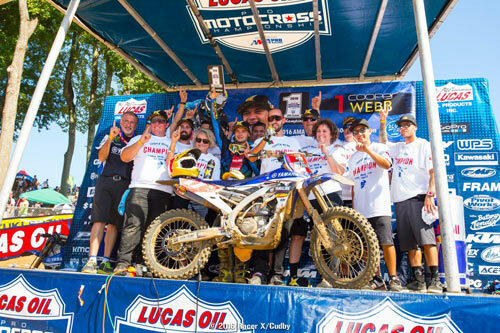 The second round of the AMA Pro Motocross Championship, which took place at Glen Helen Raceway in San Bernardino, CA, proved to be another exciting race. In the 250 class, Alex Martin got out to an early lead in the first moto, followed by Cooper Webb and rookie Austin Forkner. Webb would eventually make a pass in the closing laps to take the moto one win ahead of A. Martin and Forkner. Moto two would see Jeremy Martin grab the holeshot, with Jesse Nelson and A. Martin in tow. J. Martin led the entire moto to the finish, and A. Martin was able to make the pass into second and finish ahead of Nelson. A. Martin earned the overall win with 2-2 scores, edging out his younger brother and defending national champion, J. Martin, by one point after his 4-1 finishes. Webb rounded out the podium with 1-4 scores. Forkner and Aaron Plessinger would take 4th and 5th overall, respectively. 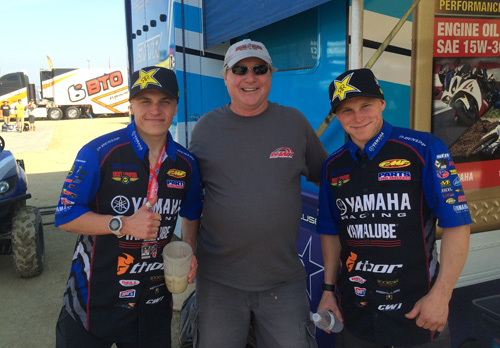 This race marked the first time in history that two brothers finished 1-2 in AMA Pro Motocross, and was the first time that Yamalube/Star Racing Yamaha swept the podium. It also marked the second consecutive week that four Yamalube/Star Racing Yamaha riders finished in the top five, overall. You can learn more about this past weekend's thriller by visiting Cycle News. CWI Riders Sweep Podium at Springfield Mile! Three Crank Works-sponsored riders finished on the podium this past weekend at the Springfield Mile in Springfield, IL. Crosley/Howerton Kawasaki's Bryan Smith continued his dominance of the Mile, winning his third consecutive Mile of 2016. He would battle tooth-and-nail with a slew of Harley-Davidson-mounted riders, including defending champion Jared Mees, and Brad Baker. Smith would edge out Mees by a margin of just 0.119 seconds at the finish. Braker would round out the podium, making for a podium sweep of the three Crank Works riders. You can learn more about the 2016 Springfield Mile by visiting AMA Pro Racing. 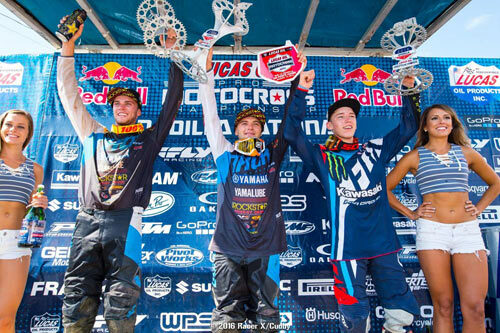 Cooper Webb Wins 250 West Title! 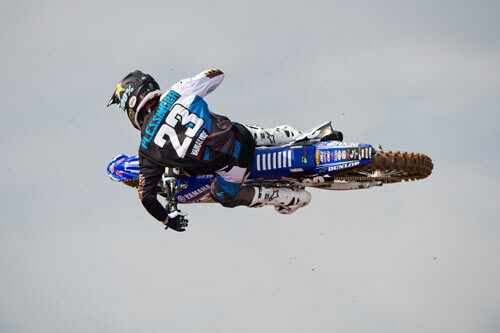 Crank Works-sponsored rider, Cooper Webb, was crowned the 250 West Supercross champion for the second year in a row. With 16 points separating Webb and Joey Savatgy, it all came down to the final 250 West round in Las Vegas. To add to the excitement of the final round, an extra element was thrown in. Rain began to downpour, and for the first time since many can remember, Las Vegas was a mud race. Webb only needed to finish in 12th position to wrap up the title, but racing with a broken wrist and in muddy conditions proved to make that seemingly simple task very challenging. After completing lap one in 12th place, Webb did what he could to remain at least that high up for the remainder of the race. Savatgy rode to a commanding race win, but would ultimately finish one point behind Webb in the final point standings. Everyone here at Crank Works would like to congratulate Cooper Webb and the entire Yamalube/Star Racing Yamaha team on their second consecutive 250 West championship! You can learn more about the Las Vegas thriller by visiting Cycle News. Jared Mees Wins 2015 GNC1 Championship! 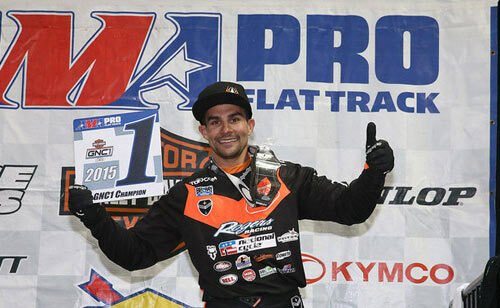 Crank Works-sponsored rider, Jared Mees, recently won the 2015 Grand National Dirt Track Championship. This marks Mees' third championship in four years. His first title came in 2012, followed by a championship in 2014, before winning his second consecutive title in 2015. The entire Crank Works crew would like to congratulate Jared on his recent championship! 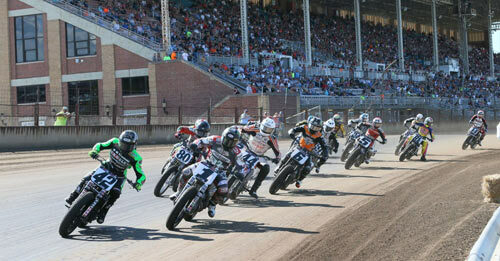 You can learn more about Mees' championship by visiting AMA Pro Racing. Replacement connecting rods for the 2005-2011 Honda Foreman 500 ATV. Connecting rods to rebuild '83-'84 Suzuki RM 500 crankshafts. 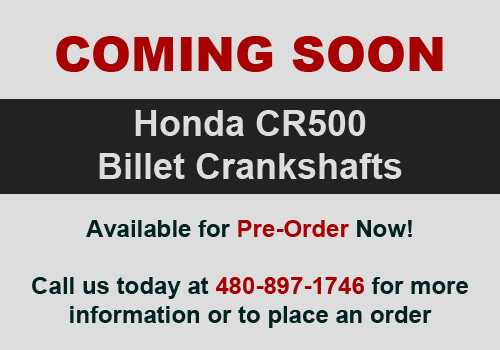 Honda CRF250R Long Rod Now Available! Kawasaki KFX450 Pro Rod Now Available! All New Friction Reduction Service Now Available! 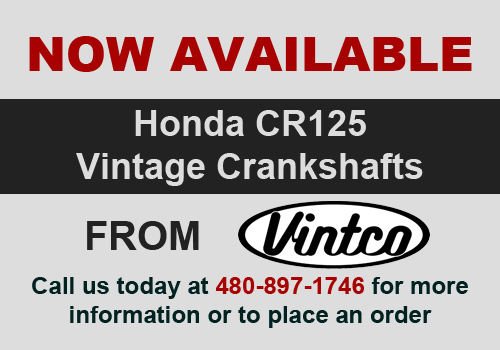 Now available for all crankshafts is our new Friction Reduction service. This modification decreases drag, leading to more RPM's and improved acceleration performance. Jet Ski Season is Here! Planning a trip to the lake? 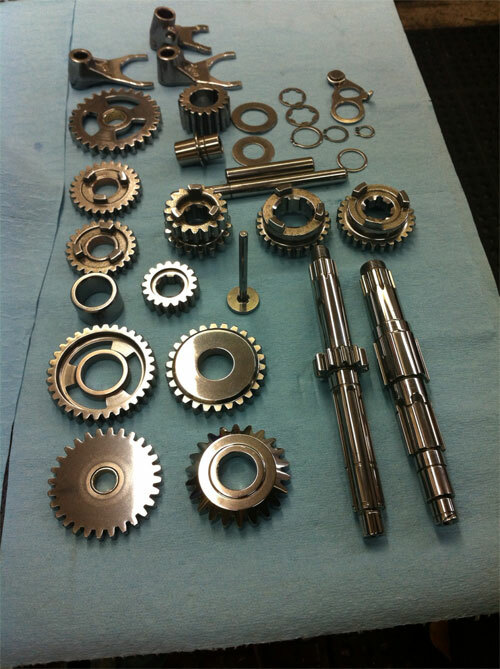 We have a large assortment of billet crankshafts and services available for your PWC, that can help get your ride ready for some fun on the water! Check out our available services to see what we can do for your ride. Attention! We now have a direct replacement CWI Pro Rod for your Yamaha Raptor & Rhino 700 stroker crankshaft! 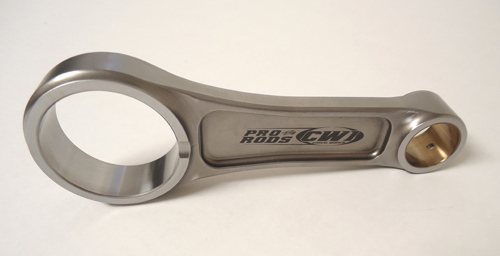 Now available is a direct replacement connecting rod for the Hot Rods Stroker Crankshaft (part # 4178/4179) for 2006-newer Raptor and Rhino 700's. This CWI Pro Rod is 2.5mm shorter than stock, and is also much stronger and lighter than what comes in the stroker kit. We also have standard length Pro Rods available for the stock Raptor and Rhino 700 crankshafts. We are continuously adding to our list of available rods. 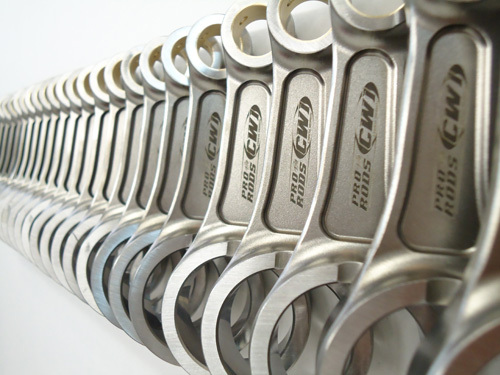 See a full list of our ATV and UTV rods currently available. And remember, parts abandoned for over 90 days are subject to resale! Copyright © 2008-2019 Crank Works, Inc.